Opening: 10 March 2016, 6:30 p.m. Some Kind of Opposition is an exhibition presented by the Galeria Centralis of Vera and Donald Blinken Open Society Archives by artist and photographer, Axel Braun. The artistic research-project revisits the unresolved controversy about the Gabcikovo-Nagymaros Dam System that was planned and partly established along the Danube in Hungary and Slovakia. The exhibition traces the activities of the Duna Kör (Danube Circle) – one of the first environmental initiatives in Central and Eastern Europe – and its substantial role as a civic movement during the years of regime change in Hungary. 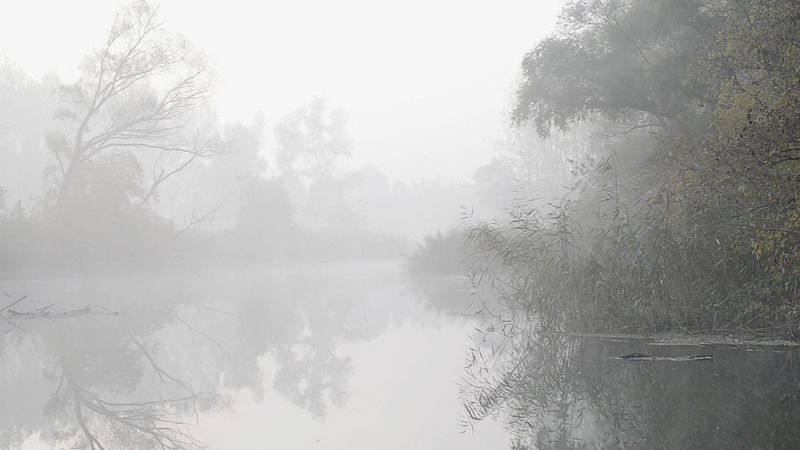 Video footage by documentary filmmakers, Ádám Csillag and Fekete Doboz (Black Box) from the 1980s and early 90s provide the audio-visual basis for Axel’s artistic approach to the topic. Footage from archives and personal collections as well as new photo and video produc­tions are contextualized within the framework of a multimedia installation. On the one hand, the exhibi­tion will tell the story of a civic movement that successfully opposed an authoritarian regime. On the other hand, it provides an ideal example for the complex processes and discussions that characterize the developments of our living spaces in the age of the Anthropocene. In cooperation with activists and eyewitnesses Axel revisits historical documents and combines them with his own landscape representations. Controversies about large technologies and infrastructure projects are understood as complex discursive fields whose aesthetical qualities merit visualization and simultaneously need to be mapped out. The installation aims to provide multi-sensual access to the topic for an in-depth experience of rhetoric strategies and visual narratives. The exhibition is a place for reflection and exchange of ideas. It is meant to contribute to the current discussions of sustainable development as a global project, European integration as well as anti-democratic tendencies in Central and Eastern Europe. Some Kind of Opposition is part of the on-going, long-term project Towards an Understanding of Anthropocene Landscapes, created in 2011 by Axel who has collected case studies about controversial infrastructure projects in Europe and other regions of the world. The resulting collections will be compiled in an anthology-like, artist book. The exhibition is supported by the Vera and Donald Blinken Open Society Archives and Kunststiftung NRW. The artistic research project has been supported by a Visegrad Scholarship at the Open Society Archives in 2014 and an Artist-in-Residence Fellowship by the Institute for Advanced Studies and Visual Studies Platform at Central European University in 2015/16.